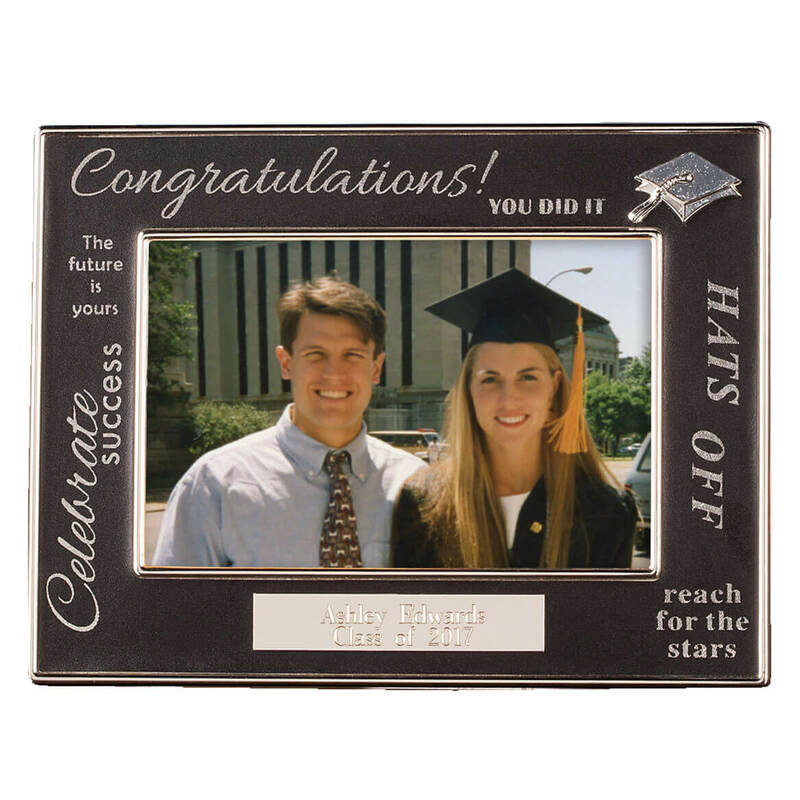 Celebrate any new graduate, young or old, with this personalized Graduation frame. A variety of graduation-themed words are printed on the wood picture frame. Along the bottom, a personalized plaque featuring a name or special message (2 lines, 20 characters per line) makes this frame a one-of-a-kind commemoration. Holds a 4″ x 6″ photo. Horizontal table display. Measures 8 1/4″ wide by 6 1/4″ deep. Making things easy for Santa, our personalized Berry Wreath stocking is embroidered with one special name, along with an elegant monogram. 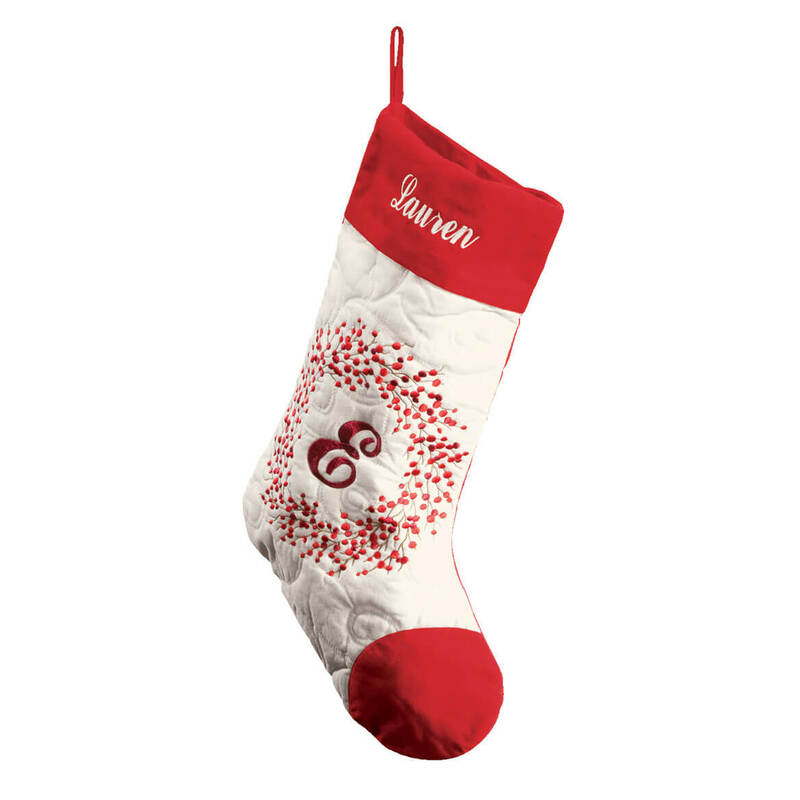 Artfully stitched with an intricate berry wreath design and finished with a soft, velveteen toe and cuff, the quilted fabric Christmas stocking is an heirloom-quality classic. Features a fabric hanging loop for easy display. Specify name; limit 1 line, 10 letters/spaces. Specify 1 initial. 100% cotton; spot clean. Embroidered stocking measures 20″ x 8 1/2″. Imported. This stunning monogrammed Snowflake Wreath 54″ quilted tree skirt becomes a spectacular gift when personalized—showing you put extra thought in choosing something special. 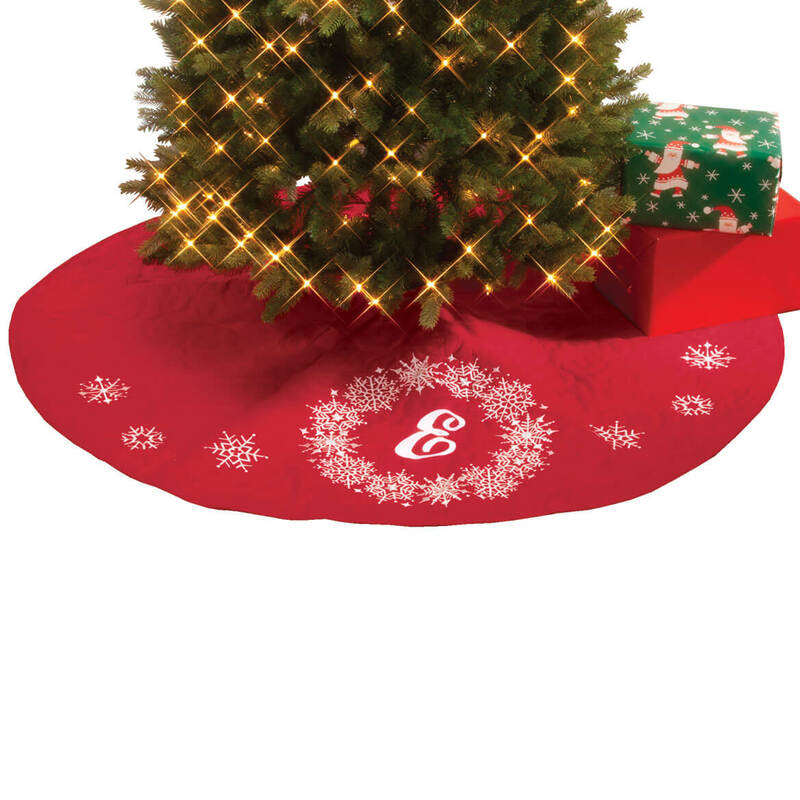 Embroidered with a white snowflake wreath surrounding an elegant script initial, the quilted red tree skirt makes a great gift for newlyweds, loved ones and that “has everything” friend on your Christmas list. Specify 1 initial. 100% cotton Christmas trees skirt; spot clean. 54″ dia. Imported. 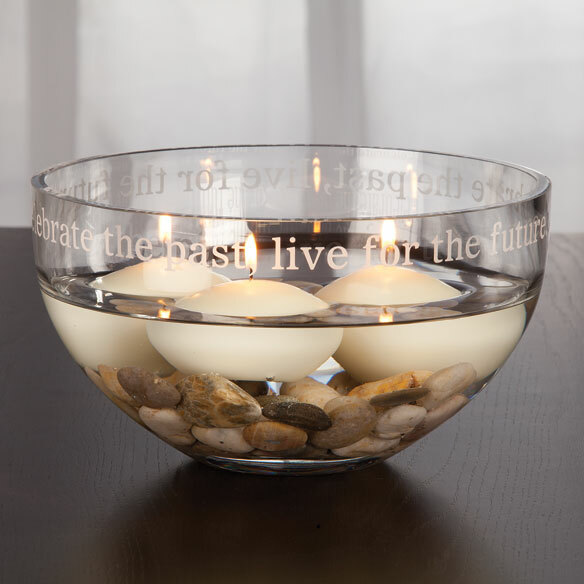 Perfect as the centerpiece in a decorative vignette on a shelf, this personalized glass bowl is a unique piece. The perfect size for holding a collection of small objects, it features a sand-etched personalized message (up to 45 characters) around the rim. The serving bowl is food safe and can be used for serving. It’s a one-of-a-kind piece that makes a thoughtful gift for a milestone event or anniversary. Measures 9 3/4″ diameter by 5 3/8” high.